Virtual reality (VR) focuses on the formation of a virtual world that users can interact with. VR uses software to generate simulation of a three-dimensional image, sounds, and other sensations that replicate a real environment by which a gamer can interact with by the use of VR gears, like a helmet with a screen, & gloves with sensors. Virtual reality (VR) has a massive scope in gaming industry. The head mounted display will make a difference in how VR integrates with gaming. Virtual reality in gaming market is expected to grow fast & will continue for the near future. There is a mass & impulsive movement to more immersive digital entertainment, from movies to games, to a level where gamer can play in their own avatar as well. VR games offer immersive experience that customers engage with. Engaging games is presented to the target market, ultimately generating sales, client loyalty and reach. Virtual Reality has started to attract niche users in tourism, education, medicine, and entertainment, among others which is expected to lift the global virtual reality in gaming market in the near future. According to the latest report published by variant market research, the global virtual reality in gaming market size was valued at $5.5 Billion in 2016, and is estimated to reach $43.3 Billion by 2024. In this report, the global virtual reality in gaming market forecast says that the global market is growing at a CAGR of 29.5% from 2016 to 2024. On the reverse side, low awareness about VR technology in games, huge initial investment, and compatibility problems of VR with consoles may hinder the growth of this market. Besides, development in thriving VR technology, introduction of depth-sensing camera for VR headsets would provide numerous growth opportunities for the market over the near future. As per Variant Market Research, the global virtual reality in gaming market has been categorized into component, type of gaming console, and geography. The market by component is further segmented as software, as well as hardware. Type of gaming console is further divided into personal computer, Xbox, Mac, Nintendo Wii, and PlayStation. The geographical segmentation of the market includes North America, Europe, Asia-Pacific, as well as Rest of the World (RoW). In 2016, software accounted for majority of market share in the component segment and is likely to be dominant over the forecast period 2016-2024. The growth is attributed to the high adoption of VR software platforms & applications across the world. Furthermore, PlayStation dominated the type of console segment owing to high demand among youth consumers for real gaming experience & expected to be dominant during the forecast period. By geographical segmentation, Asia-Pacific is likely to achieve the fastest CAGR of 31.1% during the forecast period 2016-2024, driven by the growing technological improvements in the nations like India and China, among others. 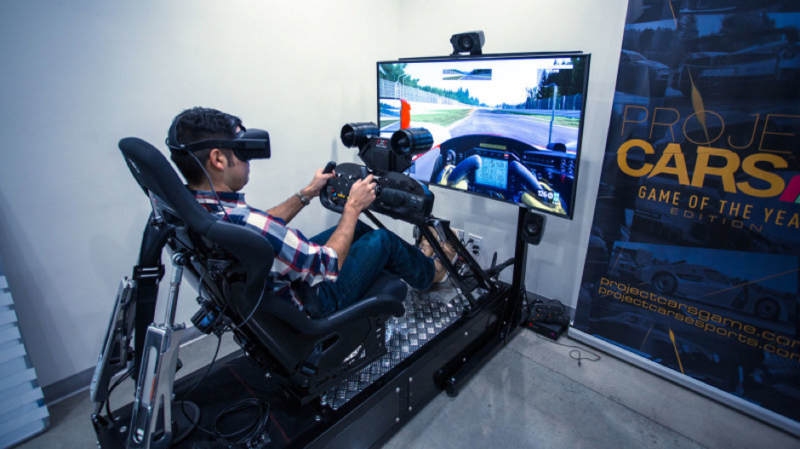 North America accounted for the major market share of 36.8% in 2016, owing to the existence of many VR companies, coupled with extensive R&D in the region. As per Variant Market Research’s report, entitled the global virtual reality in gaming market, competition in the virtual reality in gaming market is constantly growing due to the fact that many existing players in developing countries are launching new VR games. The key companies competing in this market includes EON Reality Inc., Sony Corporation, Google Inc., Oculus VR, LLC, Sixense Entertainment, Inc., Microsoft Corporation, Samsung Electronics Co., Ltd., HTC Corporation, Vuzix Corporation, and CyberGlove Systems Inc., among others. In December 2017, Sony Corporation launched in-home PlayStation VR trial program. Sony is trialing a new promotion which could increase the sale of PlayStation VR headset to more customers. It is offering 14-day, in-home PSVR trials to a select group of PlayStation Plus subscribers. In October 2017, Sony Corporation updated their PlayStation VR headset. Sony updated the Sony PlayStation virtual reality glasses. The new Sony PSVR PlayStation CUH-ZVR2 features an updated design that enables the stereo headphone cables to be integrated with the VR headset and a slimmer, streamlined connection cable.